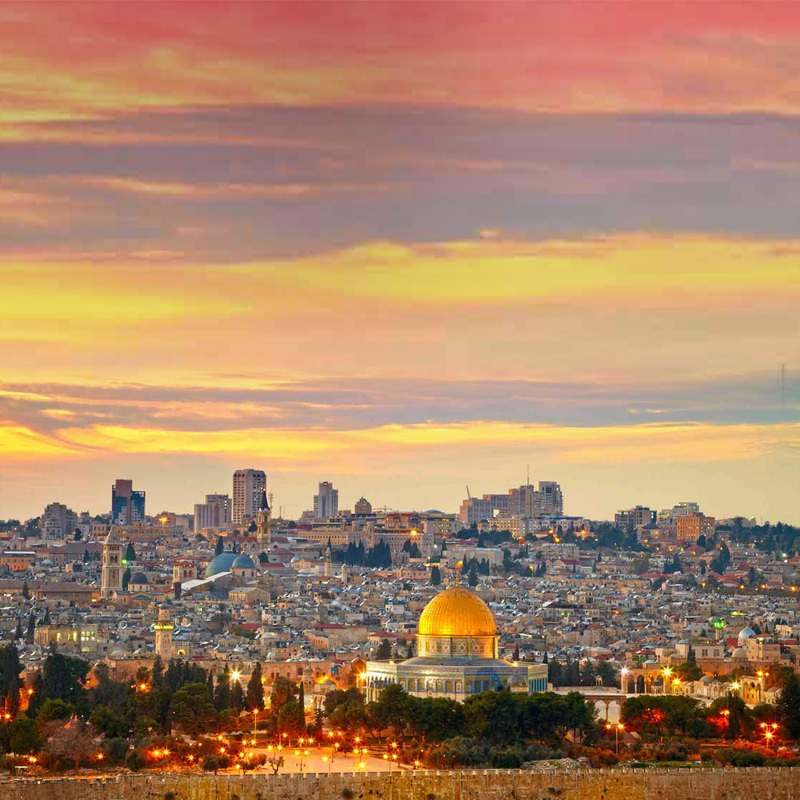 The feeling of being airborne and gliding through the air – even for a short while – is an exhilarating experience like no other. 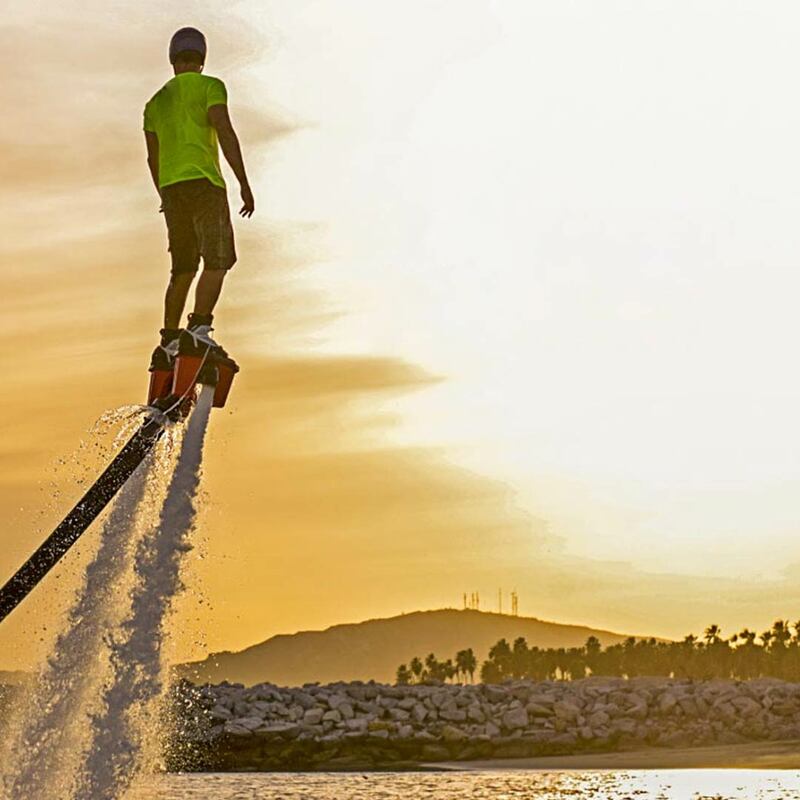 So its hardly surprising that Flyboarding, the newest kid on the extreme watersport scene, has quickly garnered an almost fanatical following amongst adrenaline junkies across the world. Here’s the whats, wheres and hows you need to know before you head out to get high on this supercool watersport. It is simple physics really. 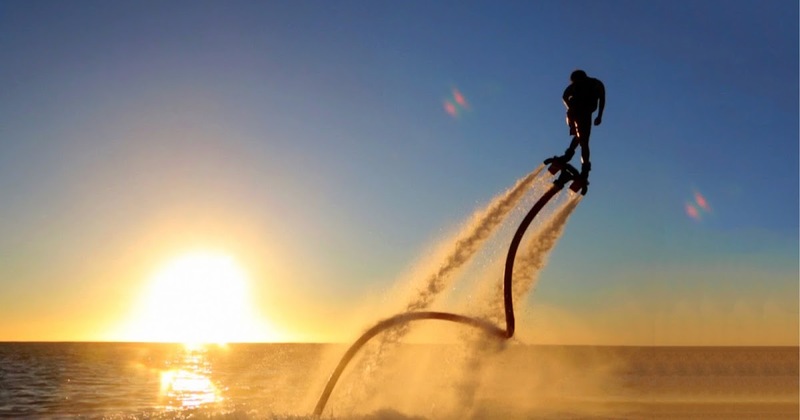 The flyboard comprises of a wakeboard-like body that is connected to a jet propulsion system (usually a jet ski). 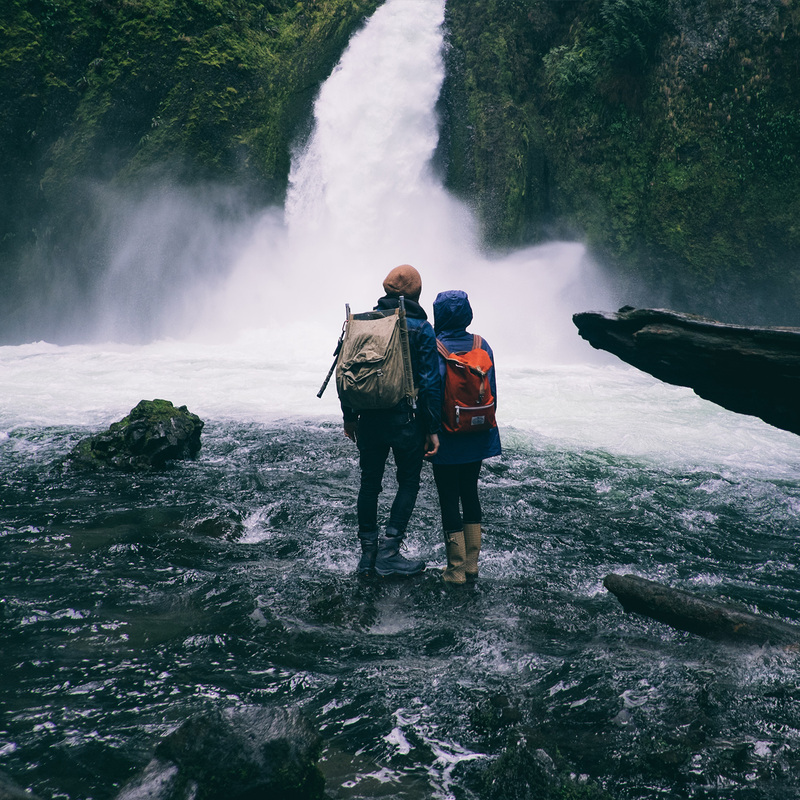 The propulsion system pumps water at an insane amount of force to propel you forward and upward. The flyboard comes with a throttle with which you can control the force of the water and consequently the thrust. That’s about it! You can go high as 50 feet in the air on most flyboards but you will be always tethered to the jetski. Do I need special skills for this? 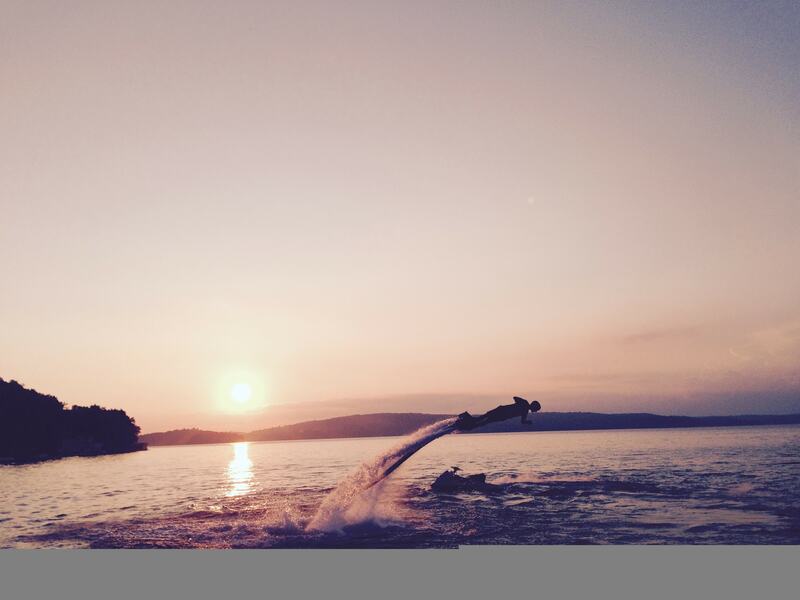 Yes, you need to be relatively comfortable being in the water to flyboard. While you will have a life jacket and the device itself is buyoant, most flyboarding centers will insist on basic swimming skills. How do I balance myself on the board? 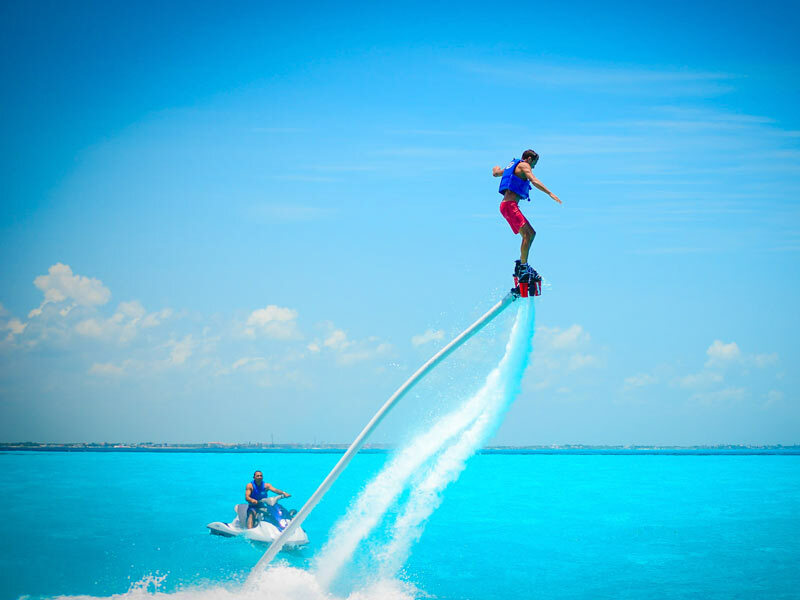 The basic dynamics of riding a flyboard is similar to that of a hoverboard. 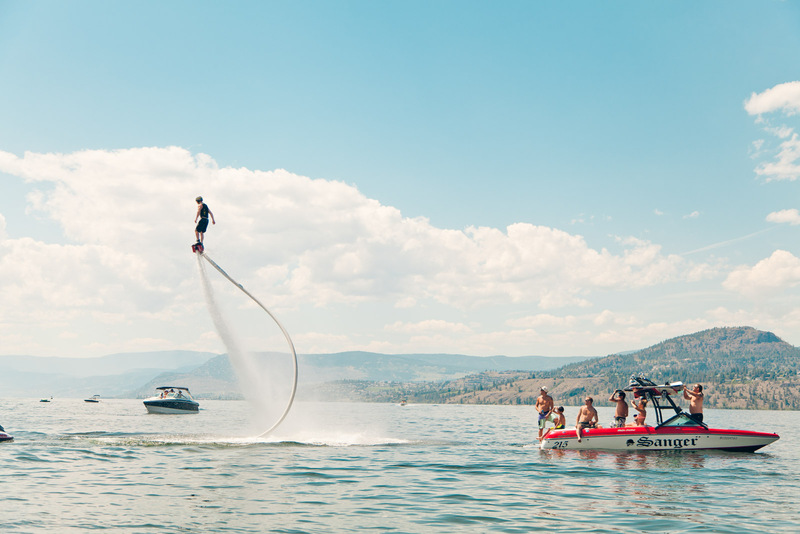 Even if you are a total newbie, it might take you around 30 minutes to get the hang of balancing a flyboard. Once you are suited up and attached to the board, you will be asked to lie facing down in the water. The engine is then started and you will feel the thrust under your feet as you start gliding across the water horizontally. 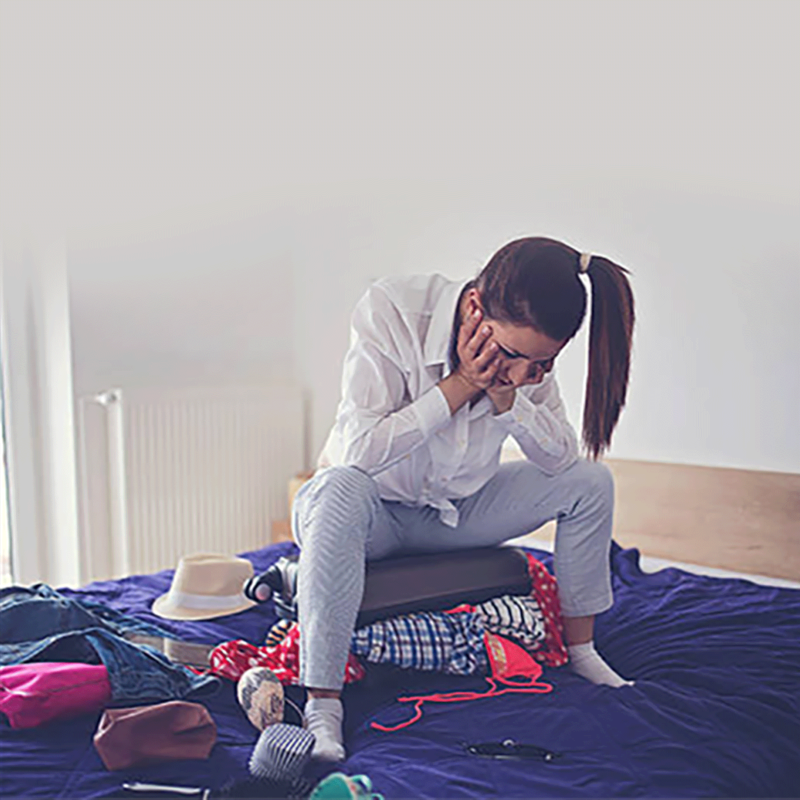 This can be an unnerving sensation but you will quickly get used to it. At this point, the person manning the propulsion system will increase the thrust. Simply bend your legs at the waist and you will be propelled into the air. Try not to look down when you are balancing the board in the air. Nothing really, experienced flyboarders often dive into the ocean depths and shoot up again for a cool, dolphin-like trick. 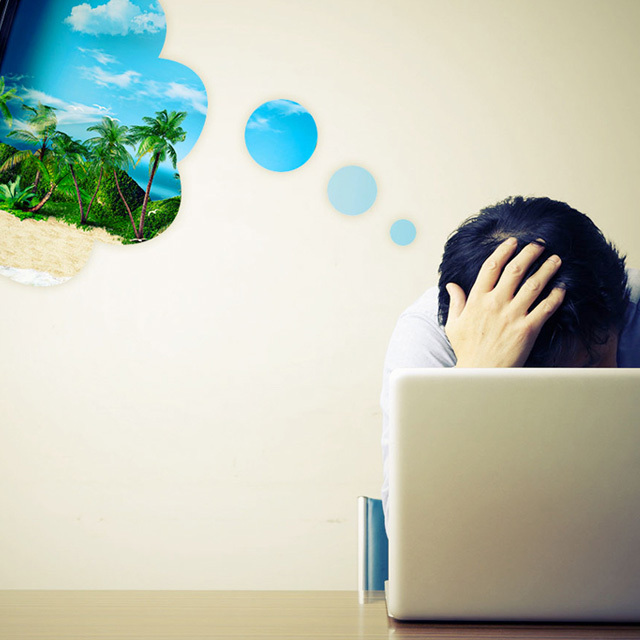 However, be careful of diving into shallow waters with too much force. Ok this looks cool, but what is hoverboarding? Hoverboarding is basically the sinister brother of flyboarding – the one with a twisted sense of humour and likes to live on the edge. Let’s say you have been flyboarding for a while and got really good at it and want to push your game to the next level. That’s when you should try hoverboarding, because you will not have the wakeboard shoes attached to your board so things get a lot more challenging. However, being untethered gives you a greater freedom of motion to pull off some really cool tricks like corkscrews and backflips. 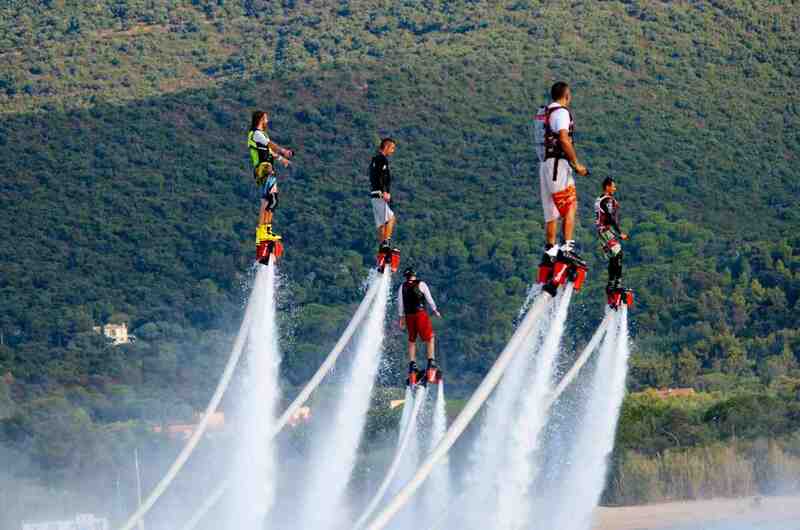 Where can I try my feet at flyboarding? 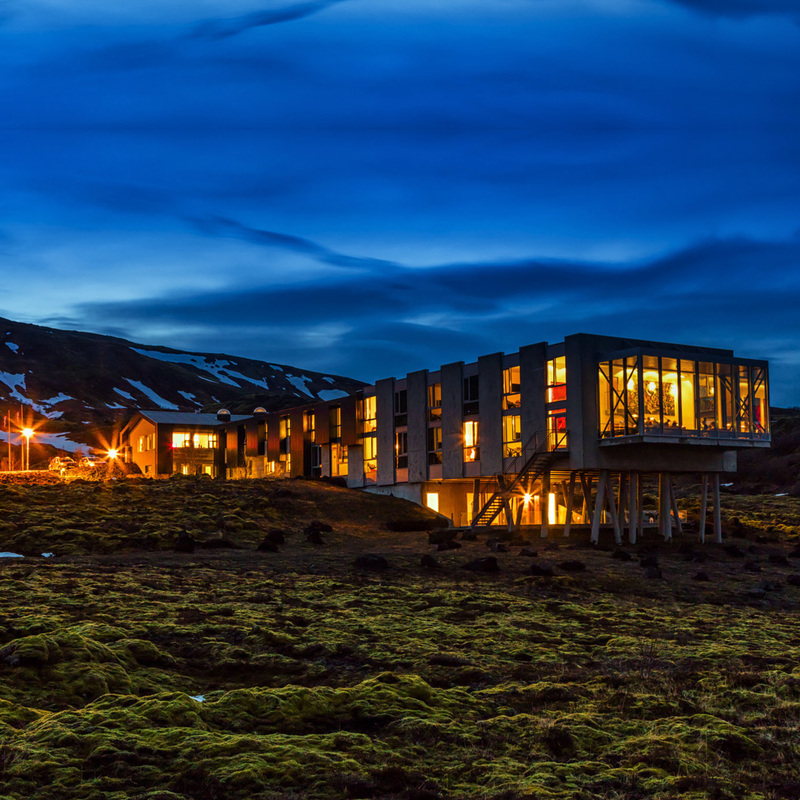 Here are the best flyboarding facilities in Asia where you can channel your Ironman alter ego. This is one of the most popular flyboarding centers in Cambodia and for a good reason. The lads running the show are extremely friendly, patient and professional; also they don’t consider the training time for calculating the rates, your timer starts only from the moment you are airborne. Flyboarding here will give you a whole new perspective of the stunning Jumeirah skyline. 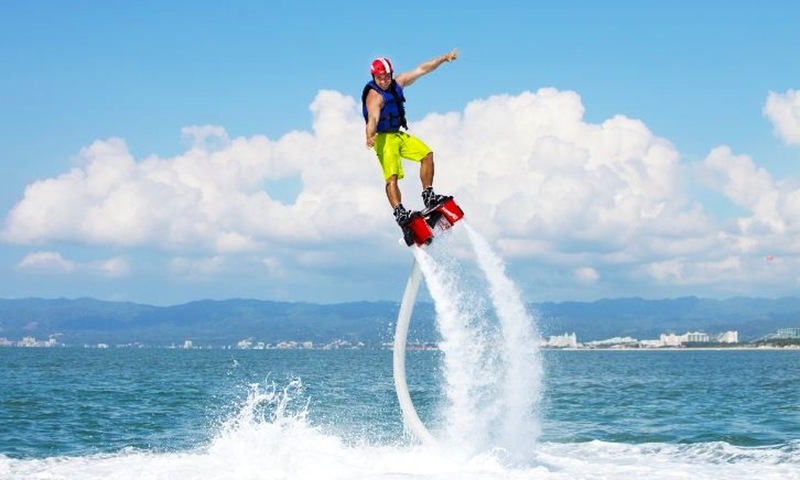 Apart from flyboarding, you can also indulge in hoverboarding and a host of other watersports. 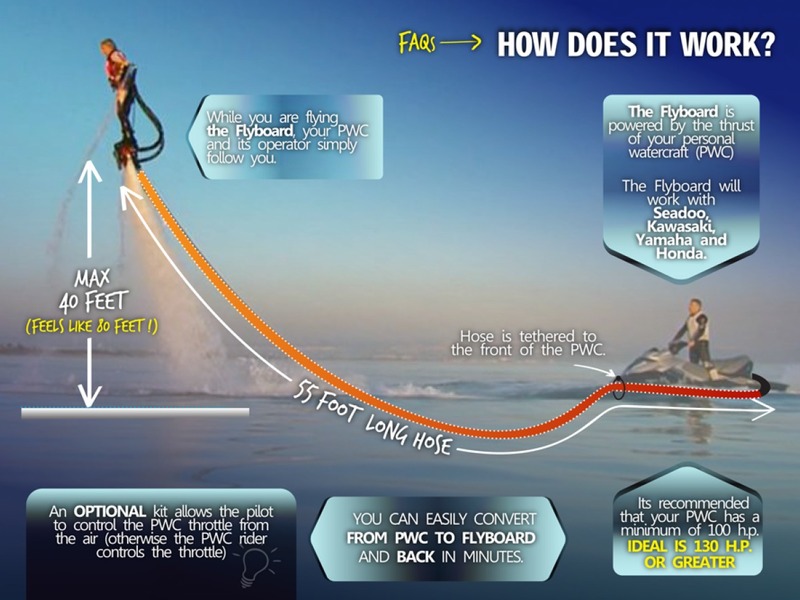 Flyboard Bali operates two facilites in Bali : PT Monico Boating Group and Pandawa Marine Adventures. Both the complexes are located in the Tanjung Benoa area. They have an experienced team of trainers but the prices are little on the higher side. Located on Chaweng Beach, this extreme sport resort offers a chance to set your adrenaline surging amidst some stunningly beautiful landscapes. 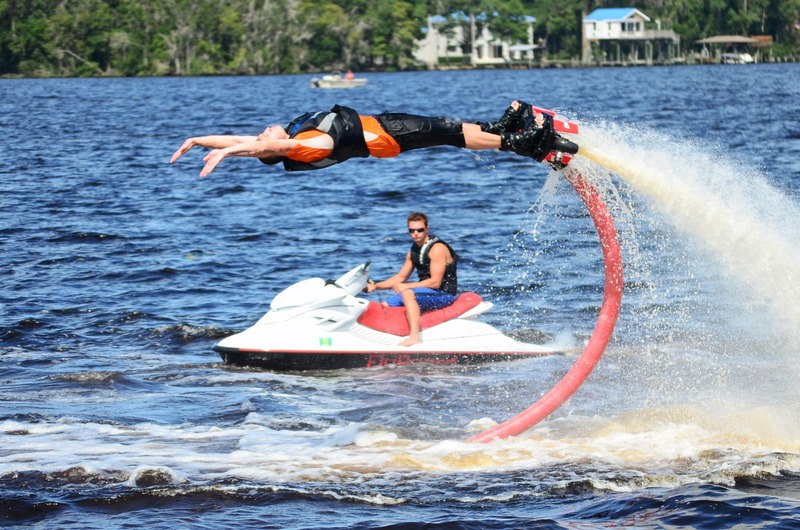 The folks running the show are some of the best in the business and will treat you to an awesome performance of extreme flyboarding once you complete your run. Someone once told me to keep an open mind....I tried it for a day and some jerk stole everything!